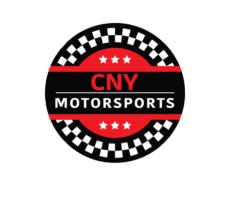 OSWEGO, NY – Dan Kapuscinski Motorsports Promotions and Oswego Kartway are proud to announce that Novelis will return to present the James Shutts Memorial ‘Double Deuce’ at Oswego Kartway on Friday, June 21, with guaranteed prize money to all 14 drivers that take the green flag in the two-segment, 44-lap main event. The James Shutts Memorial ‘Double Deuce’ Super Heavy karting event will pay $122 to the leader of lap 22 from Dan Kapuscinski Motorsports Promotions with the overall winner taking home $222 from Mike Babcock Racing. A minimum of $25 will go to each of the 14 main event starters. The ‘Double Deuce’ will be a big-pipe, open clutch, Super Heavy (200/400) Clone event and will run as an addition to the weekly Kartway lineup on June 21. All drivers must weigh-in at 200-plus pounds prior to qualifications, with gear. Honoring the Shutts Racing numbers of 2/22, the ‘Double Deuce’ will be contended over the course of two 22-lap segments making for a 44-lap event paying a guaranteed $222 to the winner of the second segment thanks to Mike Babcock Racing. Qualifying time trials will set the initial lineup for the ‘Double Deuce’ with the quick timer earning pole position. The field will then contend in the first 22-lap segment of the event with the segment one winner earning $122 from Dan Kapuscinski Motorsports Promotions. Following the first 22-lap segment, the segment one winner will draw a pill number of 1-6 to determine the number of karts that will be inverted for the final 22-lap segment. If the number one is pulled, the event will restart straight up from the segment one finish. Any other number will designate the number of karts to be inverted, with sixth being the furthest back the segment one winner can start. Drivers finishing 7th on back in the first segment will restart the second segment in the same position. The halfway break will last long enough for the pill draw and a drink of water for drivers, with no changes allowed to karts prior to the start of the second segment. All karts will stop for the break on the Kartway’s back straight away, closest to the main grandstand. A $35 entry fee will be required. All Oswego Kartway rules and regulations will be followed. Those interested in sponsoring the event or any special awards or bonuses can e-mail dkapuscinski00@gmail.com. Lap sponsorships are also available for $5. For more information on Oswego Kartway be sure to visit online at www.oswegokartway.com.